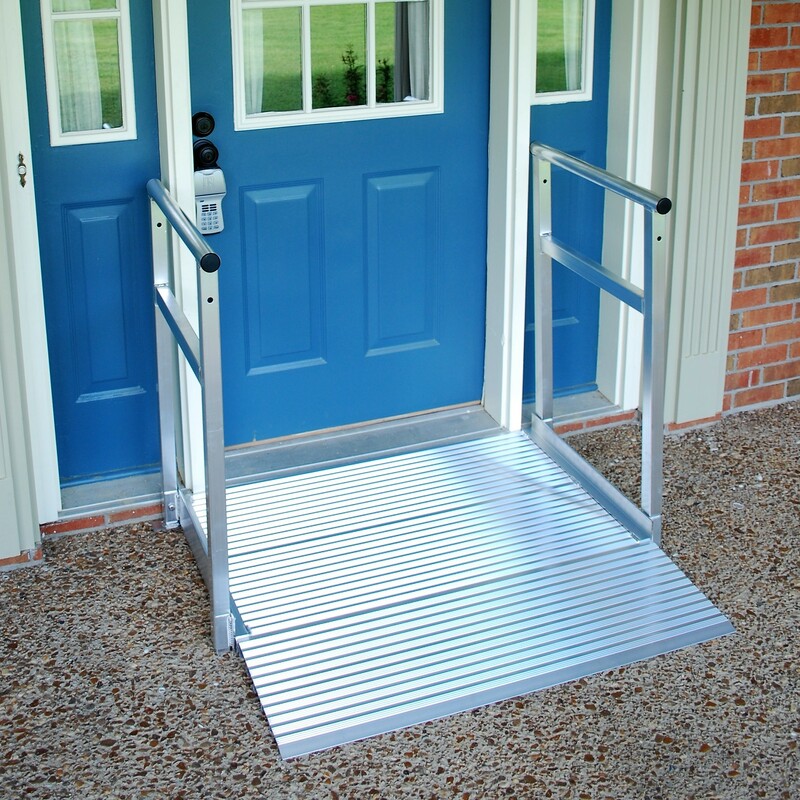 Ramps are a very common solution to barrier free entry and exit for homes and businesses. 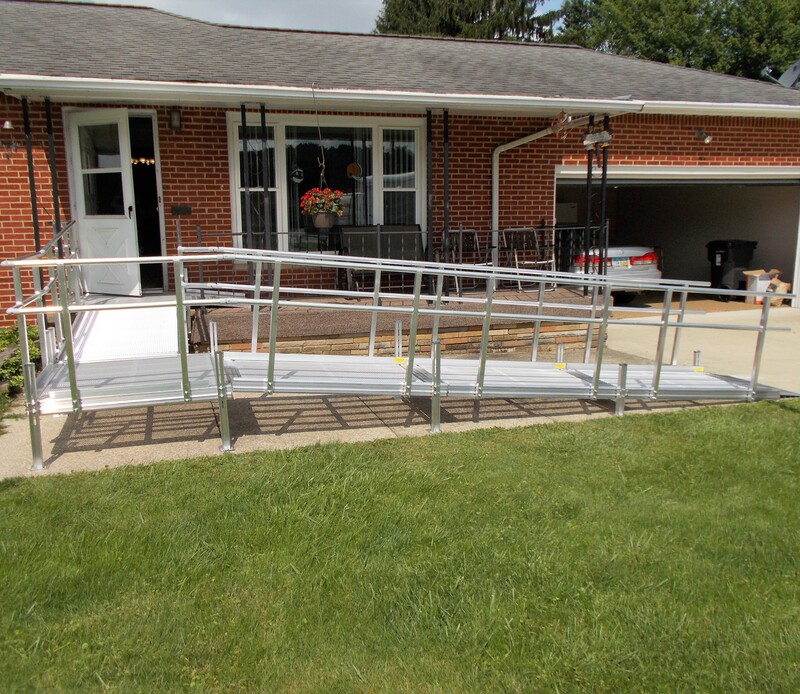 Whether you need a ramp to bypass several stairs at the entrance, or accommodate one step down from a patio area, we have the right option for you. 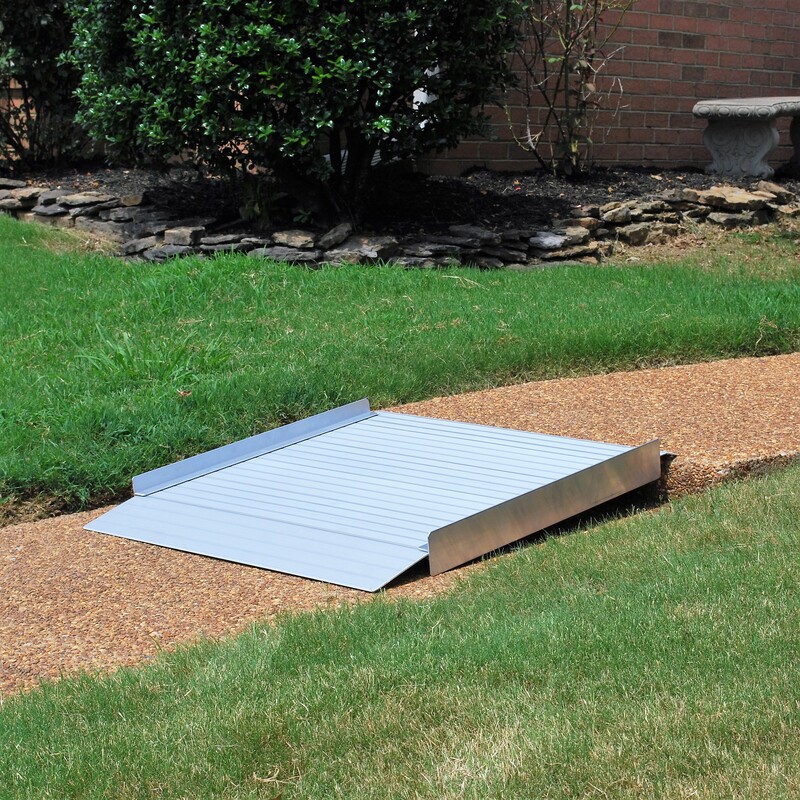 Our goal isn’t to simply provide and install a ramp, it’s to hopefully make your day-to-day life a little easier. We always focus on your needs and will work to find the perfect solutions to ensure your environment is as convenient and safe as possible. 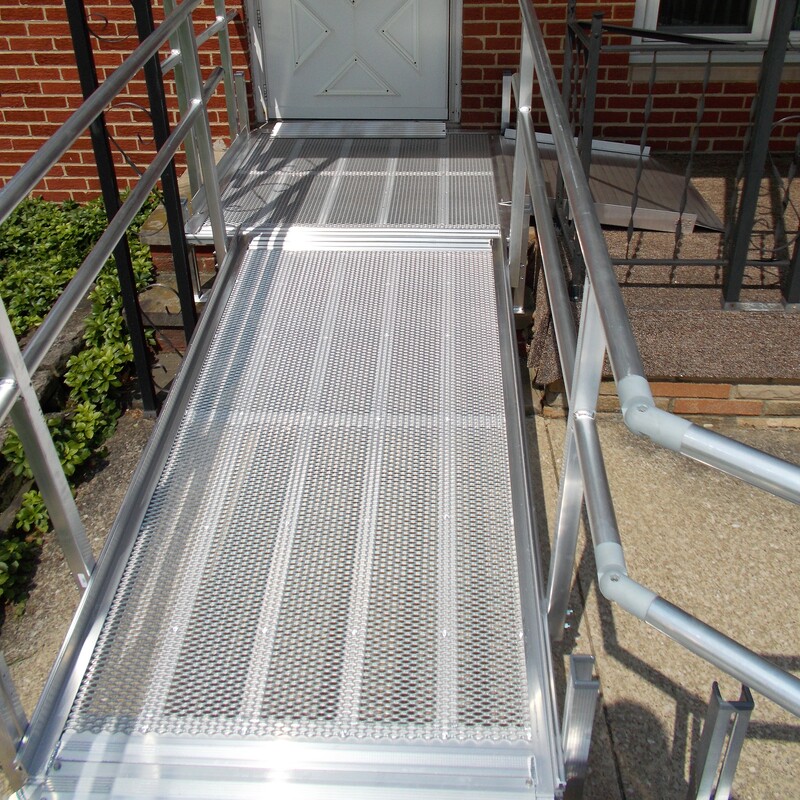 Modular ramps are a good option with rental properties due to the fact that no permanent structural alterations are necessary for installation. They are also common in cases where long term use is not warranted. These systems are typically prefabricated, then set up and installed on site. 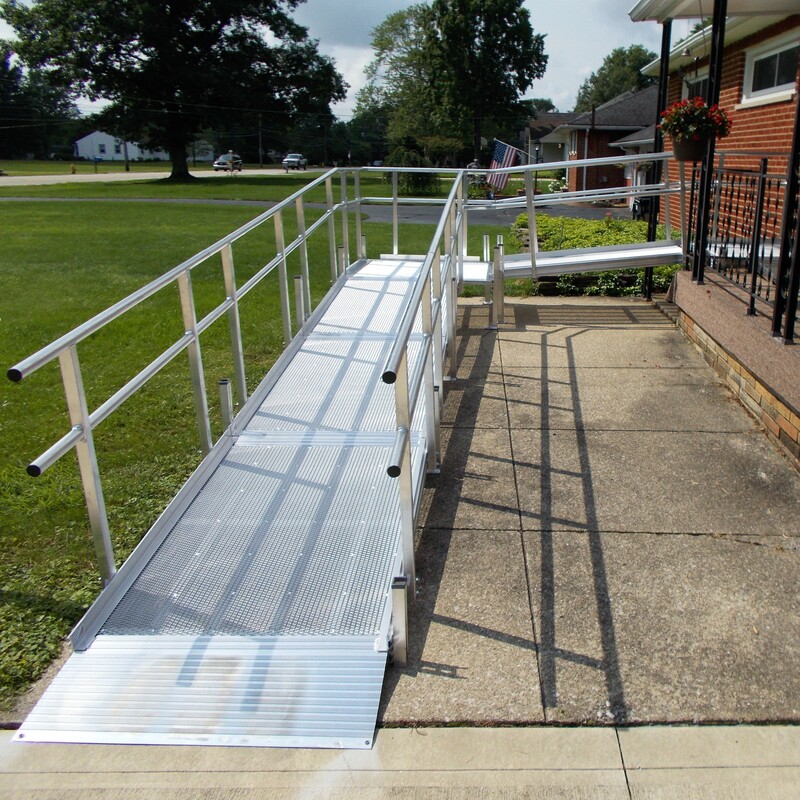 Our modular ramp systems consist of extruded aluminum, mesh style decking surface, rails and supports. 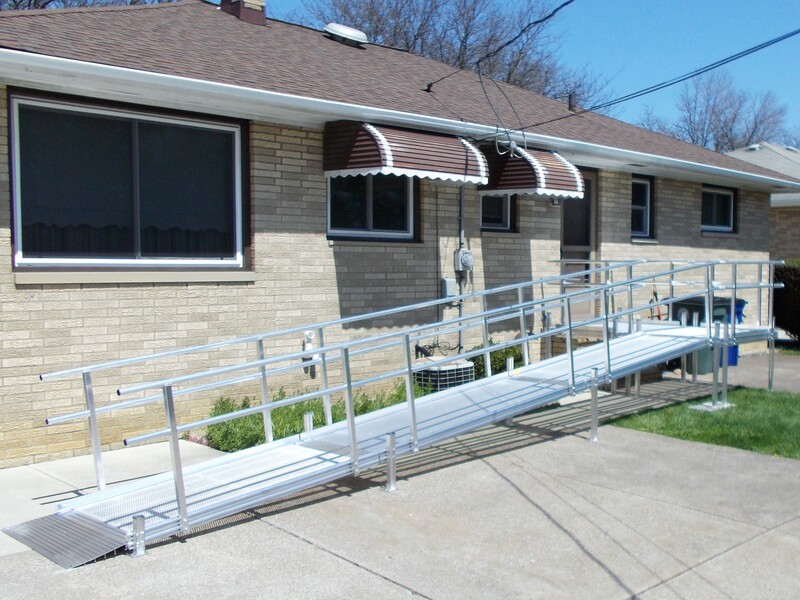 Even though modular ramps cause no structural alterations, it is suggested that you consult local authorities regarding Building/Zoning requirements for this type of system. There are some jurisdictions that still require a footer and plan review, etc. 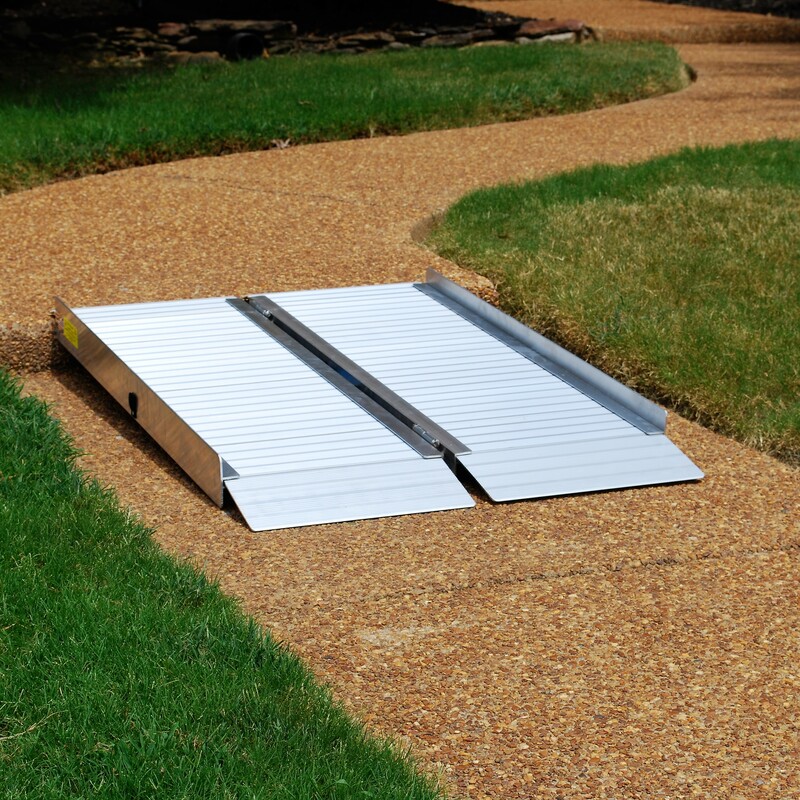 Portable ramps are just that: portable. They are generally used for a lower rise height, up to 8" and not for extended use at one particular location. The concept is usually one of being able to set it down and then remove after each use. We offer a variety of options in length, depending on the rise height and offer fixed and folding styles. 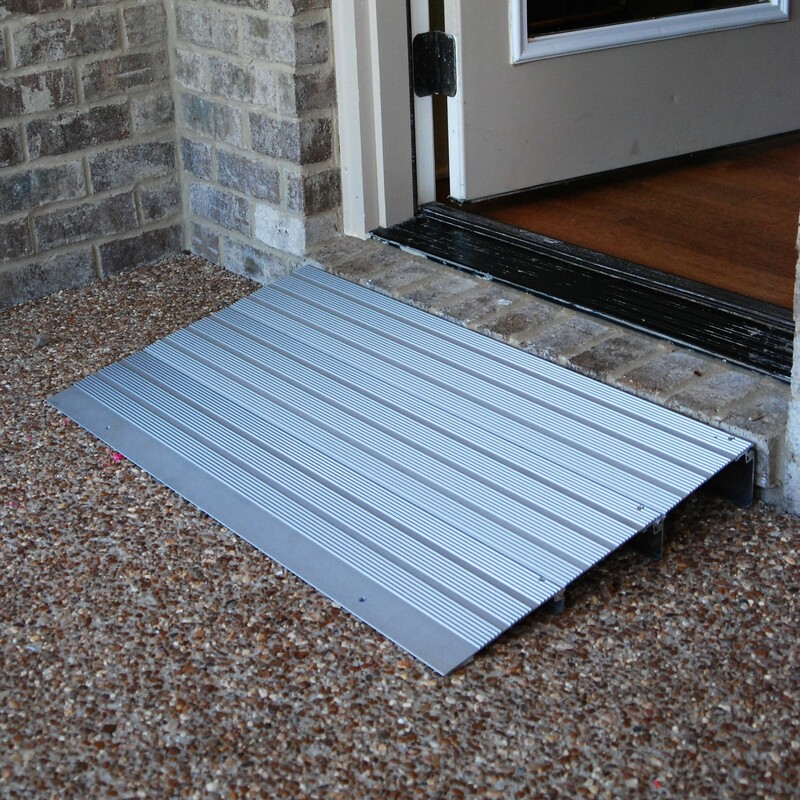 Threshold ramps are typically used for door transitions or small rises of up to 6". Whether it's the threshold at your entry door or between rooms of your home, this option will make it easier to manuever those transitions.